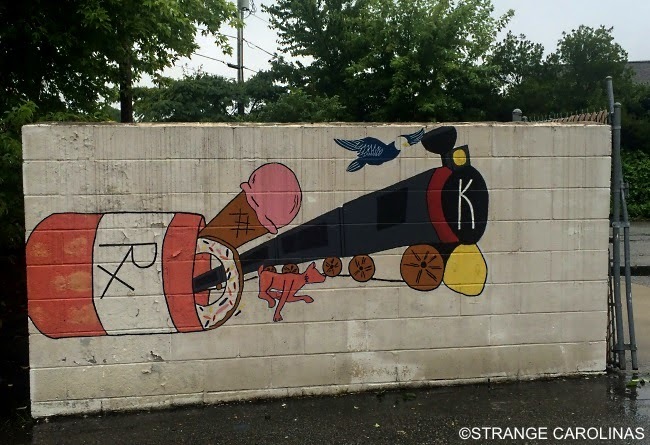 This graffiti spectacularly combines prescription drugs, donuts, ice cream, a peach-colored chupacabra, a train, and a bald eagle. AMERICA!!! When you put them all together, it looks like it should be an ad for Viagra. But here's the fun part: it's not graffiti. It's actually a mural outside a Rite Aid Pharmacy in Kernersville, North Carolina.